* Sweet citrus and ginger are the top notes. * It’s present, but not overly strong. It’s light, without being weak. * As the citrus burns away, a light floral comes into focus with ginger, spicing it up a bit. * The amber comes in after about an hour as the scent transitions to more of a skin scent, though it is still present. * A light incense floats above the amber for the base. Summary: I would call this oriental light. Oriental fragrances are often perceived as heavy, especially these days when clean, fresh, and light are buzzwords for most fragrances. 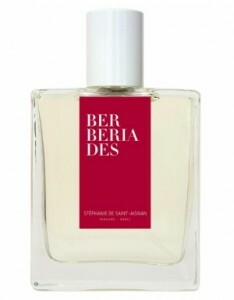 Berberiades is an oriental that people who are afraid of being overwhelmed would like. As an EDT, it lasts around five hours on my skin- which is more than you would expect. It’s also interesting to note that it is not always the same. Sometimes I get a sweet rye bread smell in the heart, and other times I get honeyed hay (which is probably saffron). It’s definitely office-friendly, as projection is mild and only those really close to you will sense it – and even then it’s very airy. Those looking for an oriental fragrance for the summer or an easy-to-wear scent that doesn’t call attention to itself should try this one. These days when we are so used to so much sugar in our scents, I wonder how sweet are we talking at the opening here? For I’m extremely interested by your description of the heart as ‘rye bread’ on occasion and other times ‘honeyed hay’. Those mixes of sweet and savoury do sound lovely. I don’t think the opening is that sweet. Its definitely on the lighter side. When I review stuff – I don’t always know what I am smelling so I try to use terms that people can related to. Even if I could name check aromachemicals, I don’t think that would be helpful for most. I like that. Heavy orientals are not for me, those light ones are much more to my fancy. I like the simple design of that bottle.